As the sole UK Distributor for Marcegaglia's Automotive Division, our customers have exclusive access to one of the UK's most comprehensive selections of stainless steel automotive tube. We supply a wide range of welded exhaust tube in standard lengths of up to 6 metres, with the option for custom lengths available. Available in Automotive Grades 304 (1.4301), 409 (1.4512), 439 (1.4510) and 441 (1.4509). 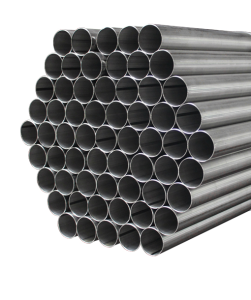 Our on-site stock encompasses all sizes of Outer Diameters up to 5" with larger options available upon order. Products are generally kept in the as-Welded condition however we also hold a complete range of polished material.